At present, domestic common standard fasteners have been oversupply, and high-grade fasteners (high temperature, special-shaped, titanium-plastic composite, and special-performance fasteners) are in short supply, and they must be imported. The State Bureau of Machinery classified "ordinary standard fasteners" as restricted development products and "high-strength special-shaped fasteners" as the current encouragement to develop products. High-strength fasteners With the improvement of the industrialization level and technological progress of the country, the usage has gradually increased. At present, China's construction machinery sales and sales have both surpassed the United States, Japan, and Germany to rank first in the world; Chinaâ€™s construction machinery self-sufficiency rate has increased from about 70% during the â€œ10th Five-Year Planâ€ period to more than 80% currently, gradually Realize the leap from manufacturing to creation. Including loaders, excavators, truck cranes, road rollers, forklifts, bulldozers, and concrete machinery, a large number of engineering machinery products have leapt to the top in the world, and China has become a truly world-renowned engineering machinery manufacturer. The rapid development of the machinery industry and the huge market size provide a broad space for development for the fastener industry. The machinery industry is China's largest industrial sector. In 2011, China's machinery industry achieved a total industrial output value of 16.89 trillion yuan. According to customs statistics, from January to November 2011, the machinery industry's import and export volume was 574.557 billion US dollars, an increase of 24.09% over the same period of last year. , Imports of 283.023 billion US dollars, an increase of 23.34%; exports of 291.534 billion US dollars, an increase of 24.83%; import and export trade surplus of 8.513 billion US dollars. Luo Baihui, the secretary-general of the International Mould, Hardware and Plastics Industry Suppliers Association pointed out that in recent years, although the state has provided certain support in the aspects of technology introduction, technological transformation, research and development, etc., compared with current market demand and foreign standards, there are still There is no small difference, which is manifested in the following: a small number of products, low levels, unstable quality, high early failure rate, and poor reliability. According to reports, during the 12th Five-Year Plan period, the number of construction machinery such as loaders, excavators, and road rollers will reach 6 million units, and the annual sales volume will be around 50,000 units. According to this estimate, the annual demand for high-strength fasteners is about 20,000 yuan. ~3 million tons. â€œThe basic components represented by fasteners are not only the basic industries of China's equipment manufacturing industry, but also an important basis for all fields of national economic construction.â€ Luo Baihui, Secretary-General of the International Model Association pointed out that during the 12th Five-Year Plan period, the industry is maintaining At the same time as some of the cost advantages, we must rely on new advantages such as technological progress, quality improvement, and product cost-effectiveness to achieve sustainable development. It is estimated that by the end of 2015, the total output of the industry will reach 7.5 million to 8 million tons; under the overall situation of expanding exports, the export products will show a fluctuating growth trend, and the average annual export growth rate is expected to be 8% to 10% during the 12th five-year period. By 2015, the total export volume of the industry will reach 30 billion yuan. 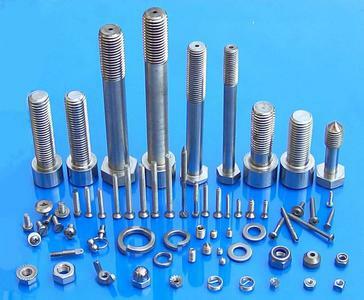 The mechanical industry is one of the main users of fasteners. Because China has a relatively late understanding of the importance of mechanical parts in the machinery industry and lack of investment for a long time, the entire industry has a poor foundation, a weak foundation, and weak strength. In particular, with the increase in the level of China's host computer, bottlenecks that mechanical components lag behind the host are becoming increasingly apparent.